What could possibly be terrifying enough to frighten a primal cosmic force responsible for the creation of the universe as we know it? 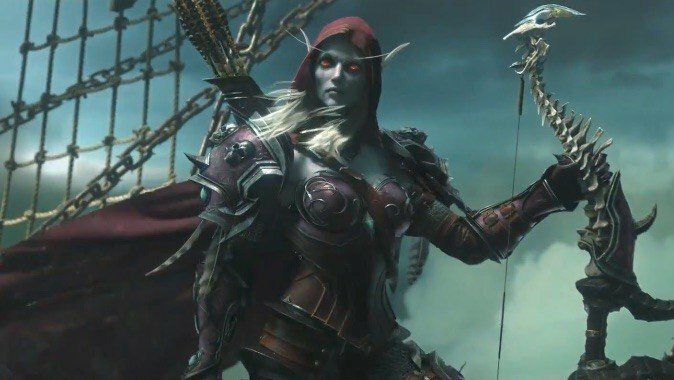 It’s a really good question – and somehow, Sylvanas Windrunner has the answer to it. For many years, we were operating under the assumption that Sargeras and the Burning Legion were pretty much the “end game” in terms of Warcraft lore. The fallen Titan and his demonic army wanted to wipe out existence as we know it – and the Naaru weren’t having any of that. But it turned out there was something else out there, something more insidious. The Void, responsible for the creation of the Old Gods, was considered a terrible entity. Perceived as an enemy of the Light, it’s been construed as evil in nature, for obvious reasons. It’s a force that fosters negative energy – paranoia, fear, despair – and seeks to overthrow the Light, bringing the universe to a state of chaotic, unending darkness. It’s also terrified of Sylvanas Windrunner. Let’s talk about that. One of the odd things that continually stuck with me from Burning Crusade onward was the curious focus of the Naaru. 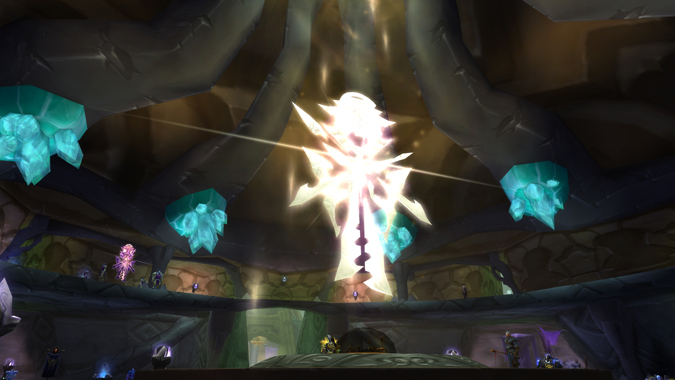 Ever since their introduction, it’s been clear that the Naaru were focused on wiping out the Burning Legion. You’d think that this was for some benevolent purpose – they wanted to protect us, they wanted to keep the universe alive and thriving. The Burning Legion represented exactly the opposite – it wanted to eradicate existence entirely. But the Void was never a concern of the Naaru. Despite the obvious presence of Old Gods on our world, the Naaru never showed up to help us out with those. They seemed, by and large, unconcerned with these agents of darkness, despite the Void’s insistent campaign to bring the world to ruin. Even in our darkest hour – the Hour of Twilight – the Naaru were nowhere to be seen. Why? Naaru don’t usually die. They fall into a Void cycle, spend years – D’ore spend nearly a thousand – regenerating and eventually come back to the Light, at which point the cycle starts all over again. It’s a never-ending circle of Light and Void, a shift back and forth between the two primal cosmic forces. The Naaru have no interest in destroying the Void, because they’d essentially be destroying themselves. But it’s not something they’re proud of. D’ore regrets the necessity for regeneration. Xe’ra flat out forbade the Lightforged from having any contact with the Void, without telling them why. It was as if the Naaru prime were ashamed of that part of itself. The Void, on the other hand, had little to no interest in stopping the Burning Legion. Why would they? The Legion simply wanted to destroy all life – agents of the Burning Legion even wielded the powers of the Void to try and accomplish this. In his travels, Sargeras came across a world consumed by Void and learned that the Void was attempting to create a Dark Titan – an agent of chaos to stand against the Titans, agents of order. After unsuccessfully trying to convince the Pantheon of the danger, Sargeras stormed off and meditated on the problem. He came up with a solution: The universe itself was fundamentally flawed. By purging the universe of all life, he would, yes, destroy all creation — but he would also keep it safe from the Void. Sargeras thought that by wiping out all life, he’d stop the Void from consuming the universe…but he was wrong. The Light is the proponent of life in the universe. The Void is what rises up in the absence of that. With no life – no Light-fostered beings – to oppose it, the Void could happily take over. Essentially, Sargeras wasn’t preventing the Void from taking over the universe – he was pushing the universe ever-closer to a Void state. It’s a cycle, one that Sargeras was unwittingly pulled into and became a part of. The Naaru weren’t fighting the Void; they were simply trying to keep Sargeras from causing that shift. That cycle – that circle, if you will – is a natural occurrence in the universe, and it wasn’t meant to be tampered with. Sylvanas Windrunner exists outside that cycle. 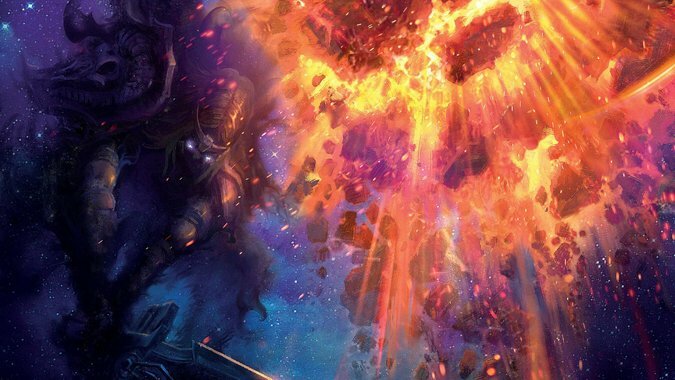 In the comic Three Sisters, the Void speaks to Alleria when Sylvanas appears, calling her dangerous, a threat that must be ended. “She seeks the death of all things…all possibilities.” The concept of possibilities came up prior to that in A Thousand Years of War – Alleria was told that the Light seeks one path, one possibility, as truth, and shuns all others as lies. The Void seeks every possible path – all possibilities – and sees them all as truth. Sylvanas is an absence of possibility. She is stasis. Neither alive nor dead – neither Light nor Void. She has not succumbed to the cycle of life and death; she’s been ripped out of that cycle entirely. She views the Forsaken as identical to her – a group of individuals that are focused on survival. They have no purpose beyond that. All Sylvanas wants, all she’s been focused on, is this idea of survival, of procreation. Her people can’t do it, so she needs to create more Forsaken in order to keep them from dying out. Because she knows what’s on the other side of that door, and it’s nothing but darkness. Black, endless, absent of everything – not the Void, let’s be clear about that. 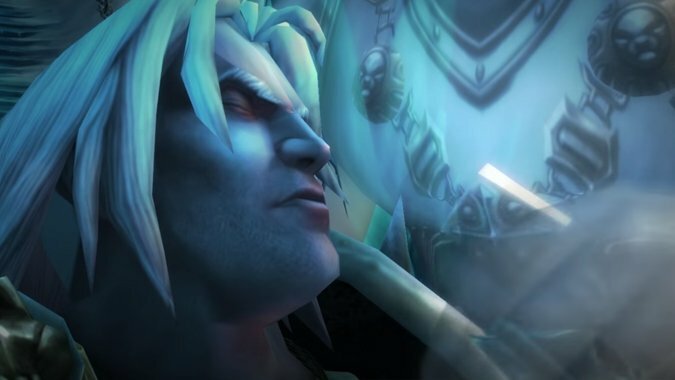 It’s the place that Arthas went to, when he breathed his last and said, “I see only darkness before me.” It’s an endless yawning black box of nothing, and Sylvanas does not want to go there. She doesn’t want her people to go there, either. So they need to live on. Part of the reason Sylvanas was so incensed by the idea of Forsaken that wanted to connect with their old lives, as the Desolate Council did, was because it showed that there was a faction of her own people who didn’t think in the same way. They spoke of the “final death” as if it were something they didn’t mind happening eventually. 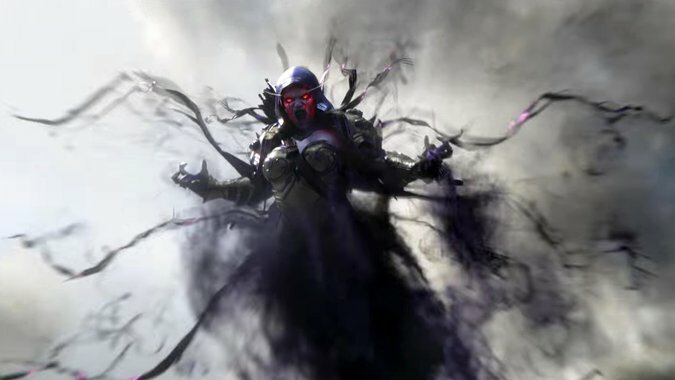 Sylvanas knows what happens after that final death – and it’s not something she wishes on anyone, especially not herself. She cannot let her people be killed. Yet there are those among the living who would like to do just that. What’s the easiest solution to this problem? Remake the world in her image – create a world of undead. Kill them all, raise them as Forsaken, and let them “live,” as it were, alongside their fallen kin. Not alive, not dead – and not living. Simply…existing, perhaps without purpose, but at least outside of that horrific absence of everything that she witnessed after throwing herself off the Frozen Throne. What is that enemy? Next week, we’ll poke around the lore and see if we can come up with some viable theories.